we have cockroaches, spiders, ants mostly. In the past I have used phantom mixed with suspend SC. But it's been a while since I checked for new products that may be a better and more economical choice. It really depends on how economical you want to get. Mixing Phantom with Suspend is something I have not heard of, but think it could be a good idea since they are different chemical classes. There are several new "designer" chemicals that contain 2 or more chemicals that are blended and also a few that have new improved chemistries. 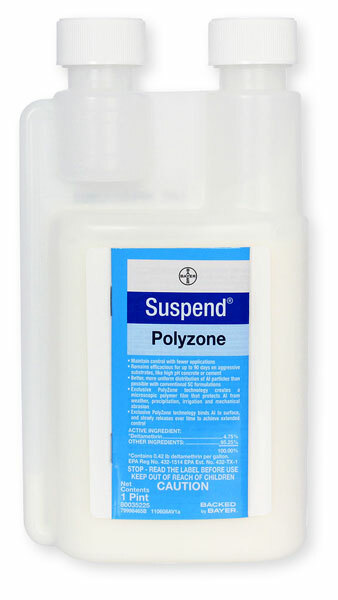 Suspend Polyzone is a newer version of Suspend that gives longer 90 day residual without compromizing effectiveness. Tandem combines Thiamethoxam with Lamba Cyhalothrin to give excellent knockdown and control using dual mode actions. Transport contains Acetamiprid and Bifethrin is super effective on a wide range of pests including bed bugs. Temprid contains Imidachloprid and Cyfluthrin for another great dual choice product that is super effective on lawns and indoor applications. Since there are no new chemistries being developed, the trend is going toward combining chemicals to achieve better results. Any of these products are good and perform better than using a single chemical. As far as economical? The cost per gallon is what you have to look at. Any product that mixes at less than 1 oz per gallon of water and comes in a 32 oz bottle and costs under a hundred dollars is economical in my opinion. Thats under $3.00 per gallon of finished spray. If you can get 2 chemicals mixed in combination for that, it's a bargain. All of these products are registered in Nevada.